As the world's first supplier of rubber-tyred gantry (RTG) cranes featuring zero emission technology, Cargotec will deliver six "Kalmar E-One2 Zero Emission RTG"(TM) cranes to Saigon Newport (SNP). The Vietnamese terminal operator opted for the 6+1 wide and 1-over-5 high units citing major economical and environmental advantages. The machines will be delivered to SNP's Tan Cang-Cat Lai terminal located at the gateway of Ho Chi Minh City during the second quarter of 2011. SNP, operating with one of the world's largest Kalmar E-One RTG fleets, was confident that Cargotec could deliver Zero Emission RTGs guaranteeing high performance, low operating costs and no local emissions. "We are very satisfied with our existing fleet of Kalmar E-One RTGs, so we were pleased to know that Cargotec could offer machines with the same reliability but an even lower environmental impact. This, combined with the payback on energy costs, helped us make our decision," said Vu Hoang Hai, Deputy Manager of SNP. SNP's "Kalmar E-One2 Zero Emission RTG"(TM) cranes will receive mains power through cable reel and regenerate energy when lowering loads, supplying the power back to network so that the customer only pays for the actual energy it consumes. SNP has also opted to equip each machine with a diesel power unit to use when changing stacks or as a back-up power source. The "Kalmar E-One2 Zero Emission RTG"(TM), already featuring the industry's longest service interval, requires even less maintenance compared to diesel-electric cranes because the main item for maintenance - the power unit - can be eliminated. This not only increases the machines' uptime but lowers operating costs and helps to keep the terminal environment cleaner by eliminating oil leakages. The environment has always been a guiding principle of SNP's operations. Since 2007, it has ordered 26 Kalmar all-electric E-One RTGs for its Cat Lai and Cai Mep container terminals. Additionally, SNP strongly values efficiency enhancing technology opting to also equip its new Zero Emission units, capable of handling 40-tonne loads, with Cargotec's autosteering and container position verification system, Smartrail®. Saigon Newport Company (SNP) is the largest container terminal operator in Vietnam. The company handles 42 percent of the country's container throughput and accounts for more than 65 percent of the container traffic market share in the Ho Chi Minh City area. SNP's Tan Cang-Cat Lai port is the biggest and most modern container port in Vietnam. In 2009, the terminal handled 2.4 million TEU. 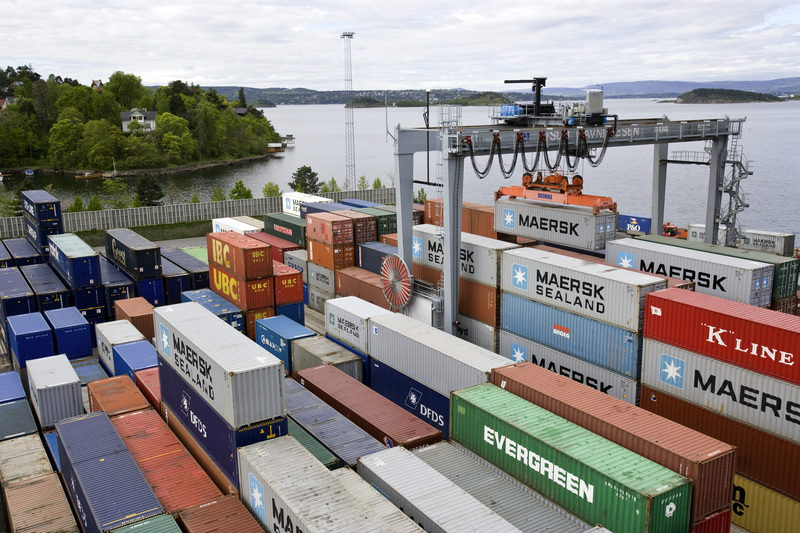 Cargotec paved the way for Zero Emission RTGs when it delivered its first units to the Port of Oslo in 2002. The company has since improved the technology of its "Kalmar E-One2 Zero Emission RTG"(TM) cranes to offer customers cleaner and more cost-effective operations at a competitive price. 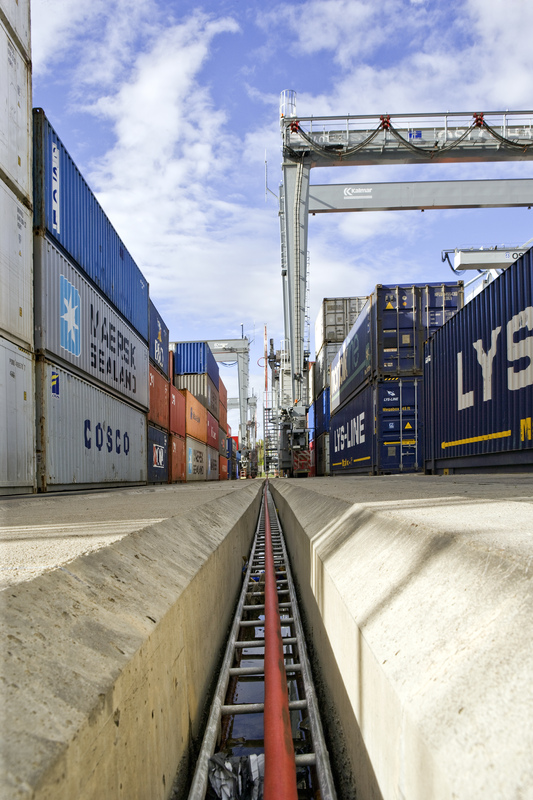 Cargotec can also retrofit existing Kalmar or other-branded RTGs with zero emission technology. With this option Cargotec delivers the entire project scope, including engineering, electrical RTG modifications, mechanical and electrical installation works in the terminal, and the installation of cable reels or conductor bars for mains power supply. Photo 1: Cargotec will deliver six "Kalmar E-One2 Zero Emission RTG"(TM) cranes (similar to the units pictured) to Saigon Newport in Vietnam. Photo 2: Saigon Newport's Zero Emission RTGs from Cargotec will receive mains power through cable reel.